For those working the 9 till 5 office grind, an office coat is essential. As the colder months draw in commuting, meeting clients and networking will all require a coat that fits seamlessly into your workwear wardrobe. In business, first impressions are important, which means you need a coat that not only shows your professionalism, but also displays your personality and taste. Grace & Oliver have created a collection of luxury coats for autumn/winter 2015 that are as individual as you are. 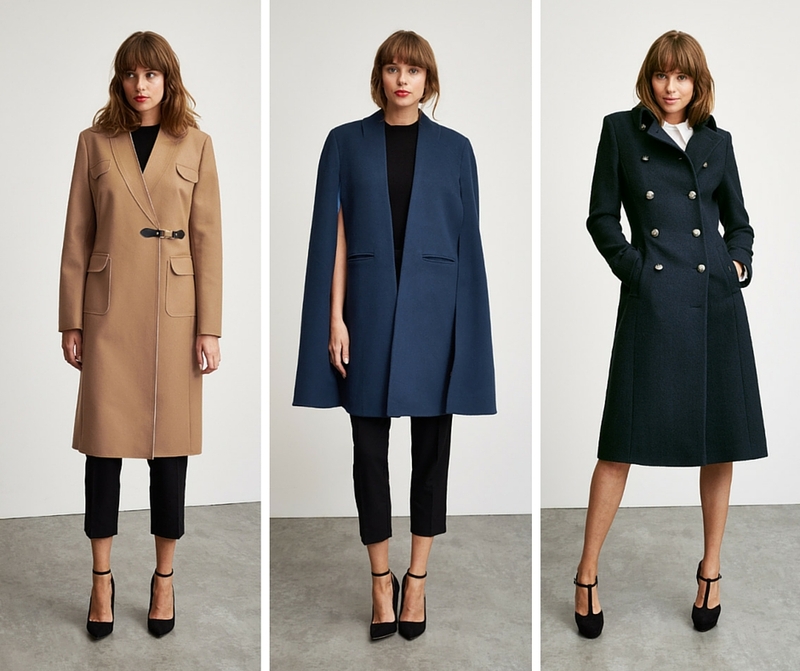 Here are our top picks of city chic coats to see you through the winter months. Lucas – This grey shadow check coat is certainly a contemporary classic. A traditional trench that is ideal for a city gentlemen looking for a sharp office look. A luxurious quilted lining means there is no need to layer when you are heading out to an event or to visit a client. Dominic - A men’s slim topcoat with enough sophisticated style to last for years to come. The grey chalk stripe of Dominic adds subtle yet distinct personality to this British favourite. With a tonal grey velvet collar and bold bright orange lining, this coat has a vibrant flair to reflect a sense of creative fun. Hugh – Our Hugh coat is the epitome of sophisticated luxury, featuring rich faux fur collar and lapels. The slim, double breasted style adds opulence to any professional look. Transitioning effortlessly from day to evening, Hugh is a valuable addition to any city winter wardrobe. Genevieve – Our camel coat is beautifully constructed using only the finest Italian cloth. The raw edges and utility style metal and PU strap gives Genevieve a unique look. This timeless coat is a key wardrobe piece that can mix and matched with a number of professional office styles. Agnes – A stunning alternative to a traditional coat, our Agnes can elevate both day and evening styles alike. This deep ink blue cape is ideal for transitional weather and acts as a beautiful cover up whilst moving through a bustling city. Cut from Italian wool with a cashmere blend, the soft feel will make Agnes a day to day favourite. Faith – Every woman needs a military style coat that has attitude and sophistication in equal measures. Our Faith coat is a true classic, with a double breasted front, high collar and a trimmed waist for a striking look. This bold teal coat translates authority and style simultaneously, making it a must-have.